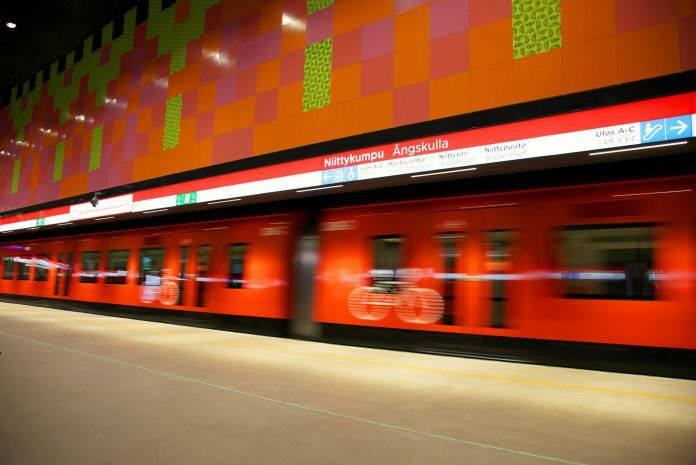 Helsinki City Transport (HKL) has opened the capital’s city’s western metro extension to the neighbouring city of Espoo. The 14km Ruoholahti-Matinkylä section, which includes eight stations and runs entirely underground, opened to passengers on November 18, extending the existing 21km Helsinki metro. Construction of the line, which is the first phase of the Länsimetro (West Metro) project, began in 2009. More than 100,000 passengers per day are expected to use the new line where the automated system will enable traffic at 2.5 minute intervals at peak times. West Metro is to replace existing bus services and will encourage commuters to switch from road traffic, bringing significant environmental benefits. A map of the Länsimetro project.